Phoenix Charter High School is one of the premier charter schools in the state of South Carolina. Chartered by Clarendon School District Two in 1999, the school has been an institution of intervention for many students in need of a different learning environment. Our mission is Striving for Straight A's. We promote the profile of the high school graduate by encouraging positive Attitude, perfect Attendance, and excellence in Academics (work ethics and performance). PCHS serves students in grades nine through twelve in the Alcolu community of Clarendon County. Our students benefit from a small environment in which they receive individualized instruction. We strive to build self-esteem, character, trust, to address social issues, and to help develop a more positive attitude toward learning. Students from Clarendon District One, Two and Three, Sumter School District, and Williamsburg County schools attend Phoenix Charter High. There are no out of-district fees. Students are afforded the opportunity to participate in extracurricular activities including sports, band, and ROTC through their home districts. In addition, students are given assistance through credit recovery to help ensure on-time graduation. They also receive assistance with EOC, ASVAB, ACT, WIN, and ACCUPLACER. 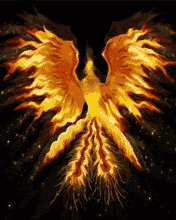 The phoenix is a mythical Egyptian bird that lived in the desert for 500 years and consumed itself by fire. It rose from the ashes, renewed, and we have chosen it to be the symbol of our school because our school renews student’s confidence in their ability to learn.